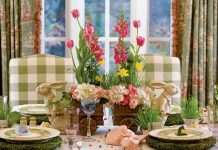 Tucked into a lovely beatriz ball pitcher in the classically styled Latur pattern, the frosted blooms mingle with bright-faced anemones, soft pink majolica spray roses, tiny green berzillia berries, and fuzzy little pompoms of brunia. 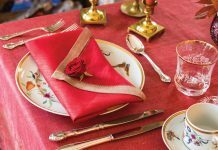 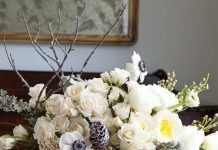 To fluff and fill in,the silvery leaves of dusty miller, elegant lichen branches, faux-snow-dusted pinecones, and sprigs of lacy Leyland cypress were added. 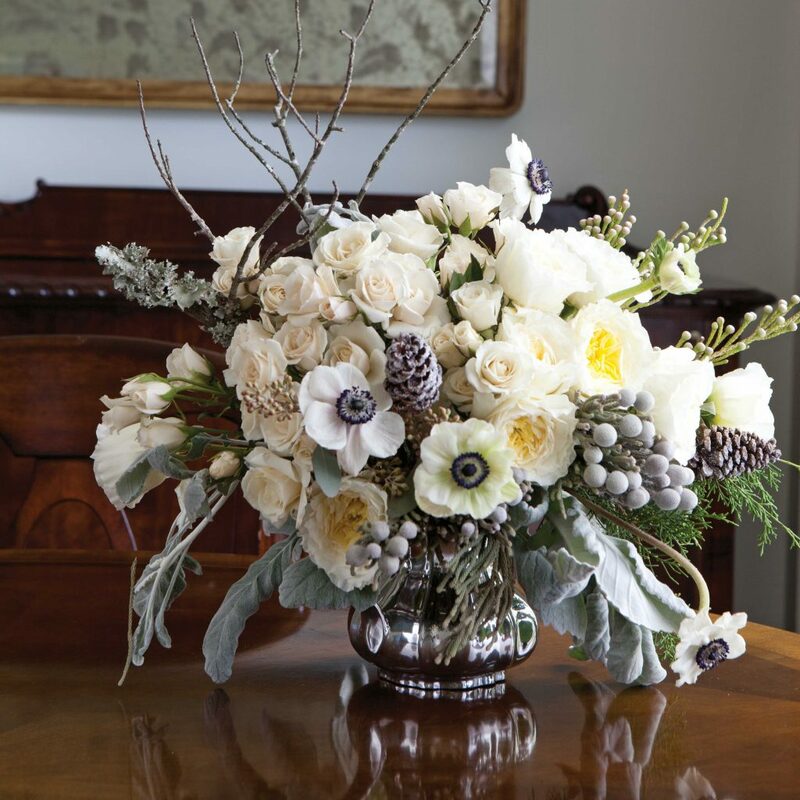 The result is a sumptuous arrangement that shines with seasonal pizzazz.